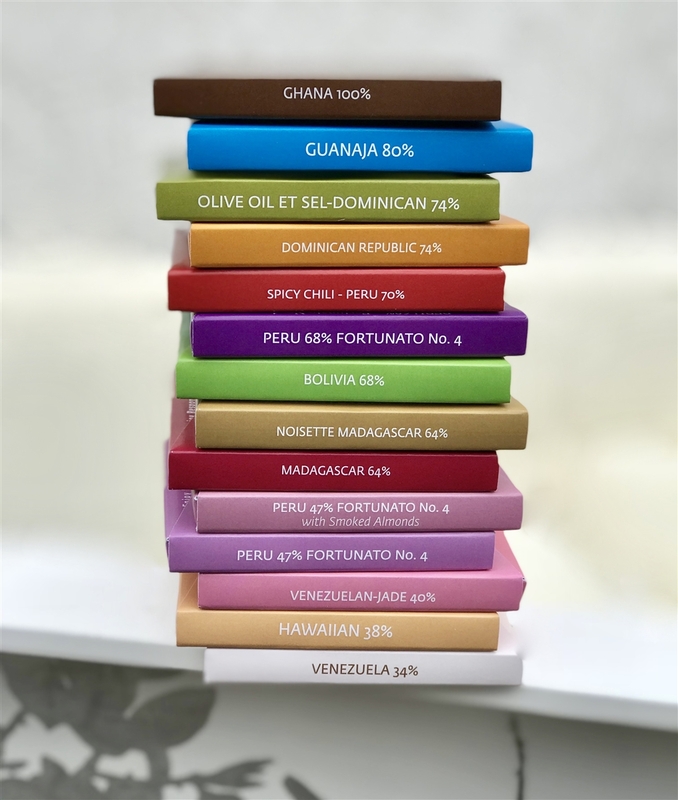 Collection of our Grand Cru Single Origin chocolate bars showcases their unique flavor profiles, ranging from smooth and creamy white chocolate to luscious milks and on to the broad spectrum of dark chocolates up to bittersweet 100%. Venezuela 34% - Warm cocoa butter, honey and caramel notes meld with vanilla overtones. 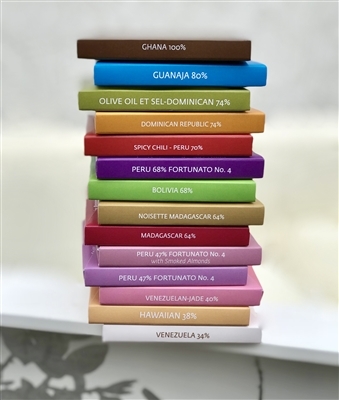 68% Bolivia - Soft wild cocoa, freshness of lemon and grapefruit, release intense dried prune and vanilla notes ending on a citrus fruit finish. Ghana 100% - Sweet Spicy cherry floral notes followed by deep intense cacao of bitter and sour, dry and tannic finishing with roasted cacao nibs, leather, and smoky notes.